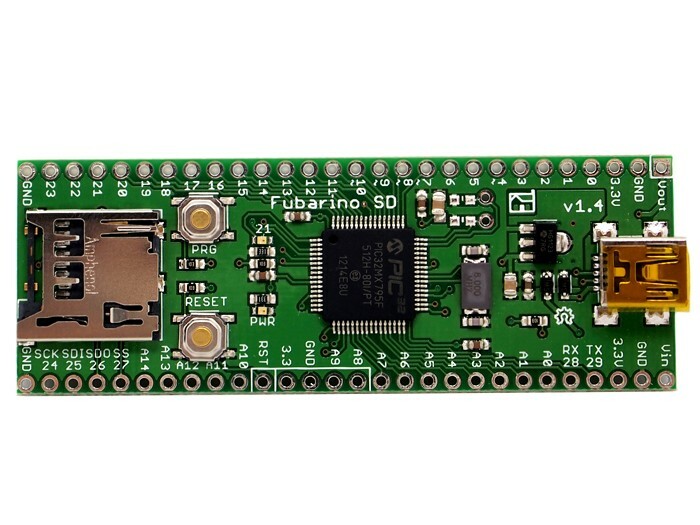 The Fubarino SD board brings affordable, breadboard compatible high speed computing power to the Arduino-compatible chipKIT/MPIDE platform. 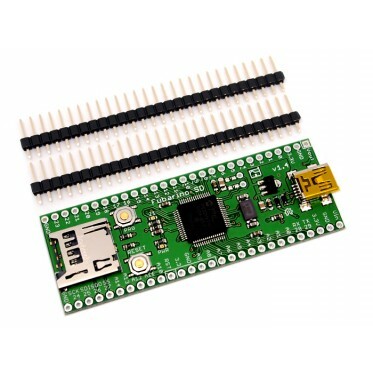 It is able to run almost all Arduino sketches right out of the box at a great price, and includes more memory, speed, and I/O pins than a typical Arduino or clone. And it includes a microSD card slot for easy sketch access to huge file storage. 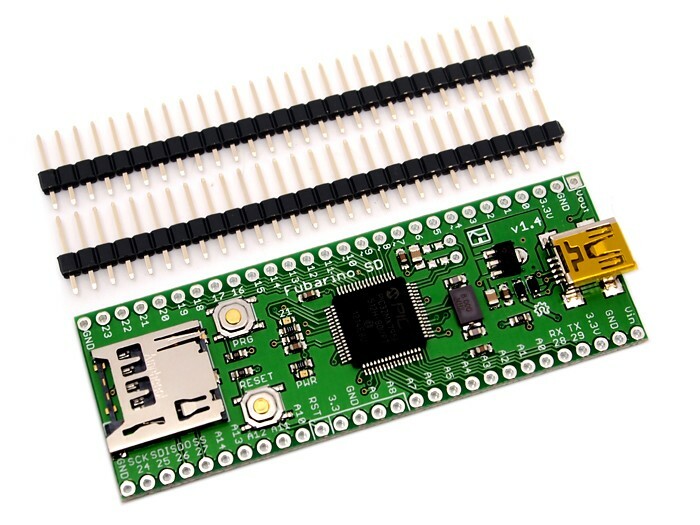 FeaturesPIC32MX440F256H - 256K Flash, 32K RAM @ 80MHz 32-bit MIPS coreMPIDE (Mulit Platform IDE - a fork of the Arduino IDE) supports Fubarino SD board out of the box45 Digital IO (many are 5V tolerant)15 Analog inputs (10-bit)2 hardware serial ports (UARTs) - one accessible on pins 28 (rx) and 29 (tx), the other on pins 8 and 9, plus a serial connection over USB (12Mbps)Comes with headers for easy mounting on a breadboardDirectly compatible with 3.3V devices. No level converting necessary.Small form factor - easy to integrate into your projectGreat for projects that need two hardware serial ports plus a USB connection and file storateEasy to program, no additional hardware is required to load sketches – just plug into a USB port and run MPIDECan be used as USB to microSD adapterICSP Header for use with optional Microchip hardware programmer/debuggers (like PICKit3, ICD3 or RealIce)Can be powered through USB, or 2.3V to 13V DC input powerExtra power and ground pins for ease of wiring into your projectmicroSD slot connected to the PIC32 hardware SPI port for large file access from your sketchesUSB bootloader (avrdude compatible) for seemless sketch uploading within MPIDEProgramming mode Press and hold the PRG button while pressing and releasing the RESET button, then release the PRG button. This causes the Fubarino SD to enter programming mode. You must do this before you upload a new sketch from MPIDE. Documents Please visit our wiki page for more info about this product. It will be appreciated if you can help us improve the documents, add more demo code or tutorials.